I have been enjoying our holiday in the Scottish isles and today was a really great day. Lots of landscape and seascape photography and wonderful drives around the Isle of Skye. On our way through Talisker we passed The Oyster Shed. 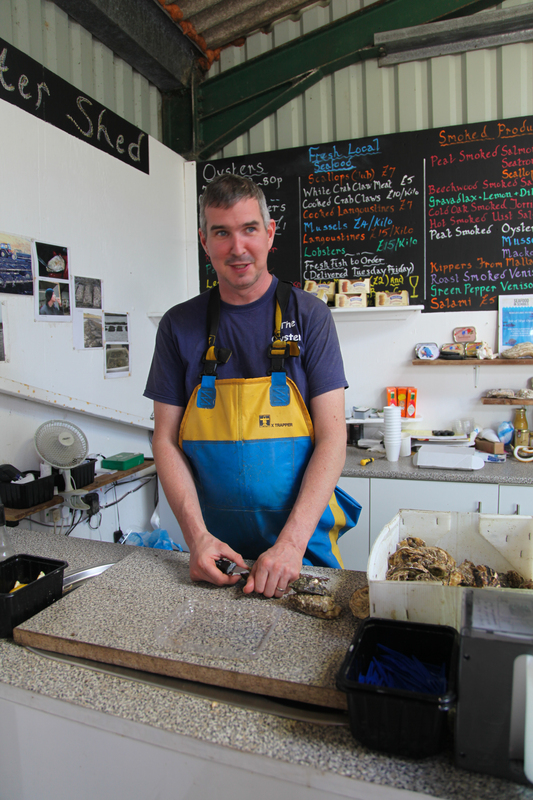 Oyster fisherman Paul MGlynn set up the Oyster Farm Shop in April 2012 with a counter and small table selling oysters, shellfish and smoked salmon. Since then he has added to the business selling a wider range of products including hot and cold food. His experience and passion for oyster fishing is obvious and he speaks in a quiet but enthusiastic manner about keeping his business small and local and focused on what he most enjoys doing. It was a real pleasure to meet Paul and even better was tasting the fresh oysters which were divine! 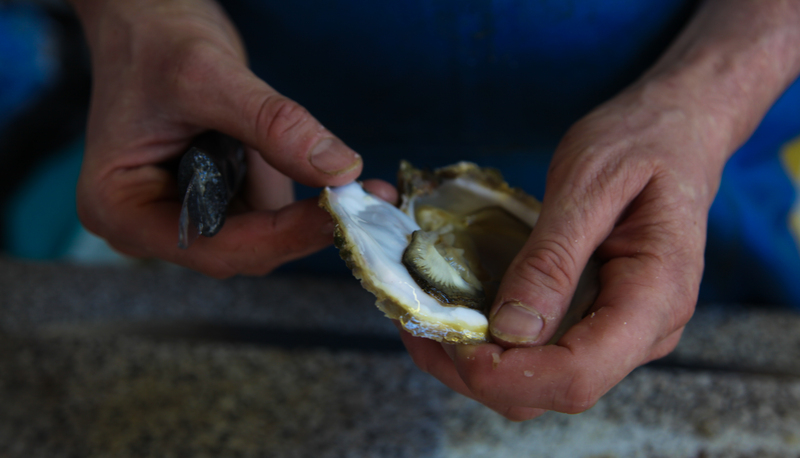 Fresh oysters – I enjoyed mine as they were! You can add lemon or tabasco sauce. Great photos and a wonderful story to go with them. Joy to see a man happy in his work.